Welcome to the JVNP 2.0 Update featuring a JV request courtesy of fellow JVNP 2.0 Partner Jeff Johnson (Tube Traffic Secrets 2017 Edition YT traffic generation, list building and customer acquisition training program launch affiliate program JV invite), Buzz Builders (Paul Evans + Paul Counts – Impact Income, Minesh Bhindi – Gold And Silver For Life 2016, Eben Pagan – Digital Product Blueprint 2016 launches) and More … in Today’s partner with Jeff Johnson and earn a big commission check promoting the all new TTS 2017 edition. 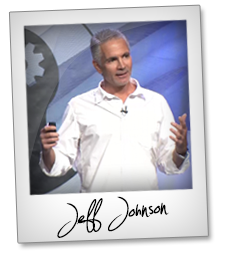 Hey, Fellow JVNP 2.0 Partner … it’s Jeff Johnson. I just wanted to let you know about my upcoming launch where $50,000.00 in bonus cash and prizes including $25,000.00 (Twenty Five Thousand Dollars) for the top Affiliate will be up for grabs! Short on time? Jump right on over to the JV/affiliate registration page. It has been almost 4 years since I released an updated version of my hottest selling Tube Traffic Secrets™ (my YouTube traffic-getting, list building and customer finding training program). I’m tearing the old one down and completely rebuilding it from the ground up. It’s the All-New 2017 Edition of Tube Traffic Secrets™, and it’s going to be an insanely hot offer. The last launch had 6.67% VSL conversions and an average EPC of $8.42 (which is great for a $497 product) with several Affiliates hitting well over $20 EPC. The refund rate has also held steady at well below 10%, which means you get to keep more of the commissions you earn. And it has been my best selling training program of all time so you should be able to make the easy sale (especially during the launch) and grab yourself a big, fat commission check… and hopefully some of the Fifty Thousand Dollars in bonus cash and prizes that will be up for grabs … including 25k for the top Affiliate. Tube Traffic Secrets™ All-New 2017 Edition. Tube Traffic Secrets™ is a private membership site and training program where I teach them how to build a bigger list, get more traffic, and find more customers by tapping into the marketing power of YouTube. $497 or 3 easy payments of $199.00 each. You’ll earn 40% on the regular Tube Traffic Secrets™ offer. Plus, you’ll have the chance to earn additional commissions on the upsells, back-end sales, and even monthly recurring commissions. Pre-launch starts: November 22nd, 2016. Cart opens: December 5th. 2016. (which is always the best type of sale to make). 2. This product has one of the lowest refund rates of any of my products (or any product I’ve sold as an Affiliate for that matter) so you’ll be able to keep more of the commissions you earn. Affiliate cookies will also count towards a few of my other higher priced products as well. 5. I am always willing to return promotional favors for my top Affiliates. (which I’ve been known to do… on more than one occasion). The best way to get my attention for your launch is to help me out by promoting the upcoming launch of my Tube Traffic Secrets™ All-New 2017 Edition. It’s as simple as that. I’d love to have you in on the upcoming launch for my All-New Tube Traffic Secrets™ 2017. >>> Simply visit this page, fill out the Affiliate program application, and we’ll be in touch. Our EVERGREEN Unsinkable “Bounce Back BIG” funnel is ready to go! We have taken many, many months to set it all up (and test like crazy) so it is a high-converting funnel. We’ll be opening it up to affiliates and JV partners starting October 1st and running a mini launch contest the entire month. Affiliate registration => Sonia Ricotti – Unsinkable Bounce Back Big Evergreen Webinar JV page.